Nintendo UK has posted a new FAQ for Nintendo Switch Online that contains quite a bit of interesting information. When your subscription to the service ends, cloud saves expire. Nintendo says explicitly: “Save data stored with Save Data Cloud cannot be kept outside of the duration of your Nintendo Switch Online membership.” On the other hand, NES save data can be maintained if you keep local save data. Will I be automatically charged when the free period ends on 19th September 2018 and the service officially starts? No, you will not be automatically charged. 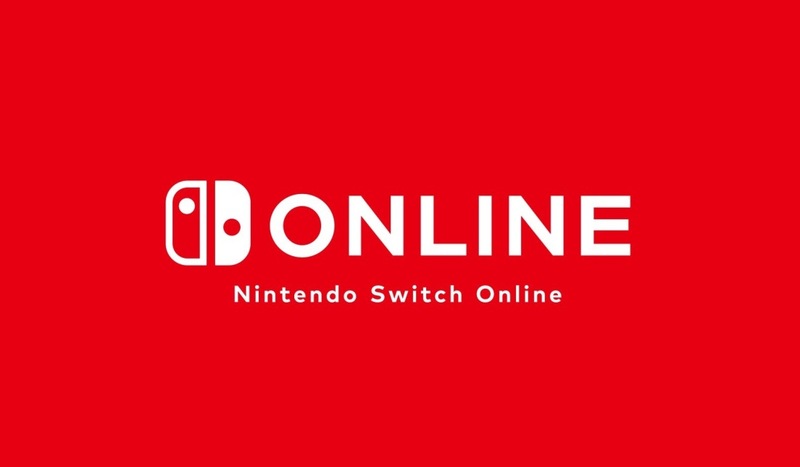 In order to use the service, please purchase a Nintendo Switch Online membership. Can I try Nintendo Switch Online for free? You can enjoy a 7-day free trial of the Nintendo Switch Online paid membership service! In Nintendo eShop, select the Nintendo Switch Online option on the left navigation to activate your free trial. Please note: one free trial period available per Nintendo Account. During the free trial, you can use the online play, voice chat via the smartphone app, Save Data Cloud and Nintendo Entertainment System – Nintendo Switch Online services. It’s not possible to purchase Nintendo Entertainment System Controllers during the trial period. If automatic renewal is set, once your free 7-day trial is over, your membership will be renewed via the automatic purchase of an individual 1-month (30 day) membership. If you do not wish to purchase a membership, you can terminate automatic renewal during the free trial and will not be charged. If I purchase an additional membership while I am already a Nintendo Switch Online member, what happens to the remaining time I had? If you purchase an Individual Membership while already in possession of an existing Individual Membership, this will be added to your remaining time. For example, if you have 35 days remaining on an Individual Membership and purchase a 365 day Individual Membership, your remaining time will be extended to 400 days. Remaining time for an account can be increased up to three years. However, you can’t combine remaining time from Family Memberships and Individual Memberships. Can I change to a Family Membership while I am on an Individual Membership? Even if you have time remaining on an Individual Membership, it is possible to purchase a Family Membership, and to change auto-renewal to the Family Membership. However, it is not currently possible to carry over any time remaining on the Individual Membership. If you purchase a Family Membership when using an Individual Membership, then automatic renewal for the Individual Membership will be automatically disabled. Thus, you will not have both an Individual Membership and Family Membership renewed automatically. If I have multiple Nintendo Switch consoles, will I have to pay for each of them? No. The Nintendo Switch Online membership is not for one Nintendo Switch console, but for one Nintendo Account. As long as it’s linked to your Nintendo Account, you can use the Nintendo Switch Online service from any Nintendo Switch console. I purchased a Family Membership. Do I need to set up anything so other members of my family can use it on their Nintendo Accounts? You need to set up a Nintendo Account Family Group. If a parent Nintendo Account purchases a Family Membership, can the Child Accounts under this Nintendo Account also use Nintendo Switch Online? If the parent account purchases an Individual Membership, then only the parent account can use Nintendo Switch Online, and not the Child Accounts. However, if the parent account purchases a Family Membership, any Child Accounts that are added to the Family Group can then use the services. I understand that only parent Nintendo Accounts can purchase a Family Membership, but is there an age restriction on who can use a Family Membership as members of the Family Group? No, there’s no restriction. A parent account must purchase the Family Membership, but then any Nintendo Account of any age in the Family Group (including Child Accounts) can use the Nintendo Switch Online services. Please note: users must be aged 13 or above and have a Nintendo Account in order to use the Nintendo Switch Online smartphone app. My family members use their own Nintendo Switch consoles. If we purchase a Family Membership, can we use the Nintendo Switch Online services from any of the Nintendo Accounts on any of the Nintendo Switch consoles? Yes, you can. Even if your family members are using their accounts on different Nintendo Switch consoles, if you have a Family Membership and create a Family Group, then each account can use the Nintendo Swich Online services. You don’t need to use the same Nintendo Switch as the person who purchased the membership. Is it possible to stop automatic renewal? Yes, it can be stopped at any time. Select Terminate Automatic Renewal by selecting Account Information and then Pass Settings in Nintendo eShop on Nintendo Switch. Alternatively, you can terminate automatic renewal from the Nintendo Account website by selecting Shop Menu in your Nintendo Account settings, then selecting Pass Settings. How do automatic renewal payments work? If you have the necessary funds in your Nintendo eShop balance when automatic renewal takes place, they will be automatically taken from your balance. If you don’t have enough funds, then your saved payment method will be used to automatically add the remainder to your balance and purchase the membership. Please note: you must be aged 18 or above to use automatic renewal. How is the membership type for automatic renewal decided? Generally, the same membership type that you are already using will be automatically purchased. However, if you activate the 7-day free trial from Nintendo eShop, then a 1 month Individual Membership will be automatically purchased. If you purchase a different membership type from your current one, then the most recently purchased membership type will be used for automatic renewal. For example, if you purchase a 12 month membership during a 3 month membership, the next automatic renewal will be for a 12 month membership. Please note: while using a Family Membership, it is not possible to change the automatic renewal to an Individual Membership. After my Nintendo Switch Online subscription expires, will my Save Data Cloud files and Nintendo Entertainment System – Nintendo Switch Online save data be erased? Do I need to join Nintendo Switch Online in order to play online on Nintendo 3DS family systems or Wii U? No, you do not need to purchase a Nintendo Switch Online membership for these systems. Can Nintendo Entertainment System – Nintendo Switch Online only be played where I have an active internet connection? Nintendo Entertainment System – Nintendo Switch Online can by played for up to seven days without an internet connection. If you are unable to launch Nintendo Entertainment System – Nintendo Switch Online, then please try connecting to the internet again. If someone I am playing with over online play uses voice chat, will I be automatically added to the voice chat? No, you will not be automatically added to voice chat in any situation. You can select yourself whether or not to join voice chat, regardless of whether other players have joined. If I want to quit voice chat, do I first have to end online play? No, you can quit voice chat at any time from the Nintendo Switch Online app, even while still in online play. You can also mute specific players so you can no longer hear them.